AET has a small grant program that offers South Africa Scholarships to assist in the payment of school fees for disadvantaged children. It also has a long-standing link with the University of Fort Hare to assist in the development of pan African countries, particularly Somalia and Southern Sudan. Kenneth Kirkwood was the first Professor of Race Relations at Oxford and Chairman of AET from 1987-1994. His memorial fund, Kenneth Kirkwood Fund, provides South Africa Scholarships to support for students from Southern Africa who encounter financial problems. First priority for this grant goes to students at St Antony’s College. So far, two students at St Antony’s have been assisted. Situated on the southern tip of the continent, South Africa is one of Africa’s super-powers and is the starting point for Room to Read in Africa. 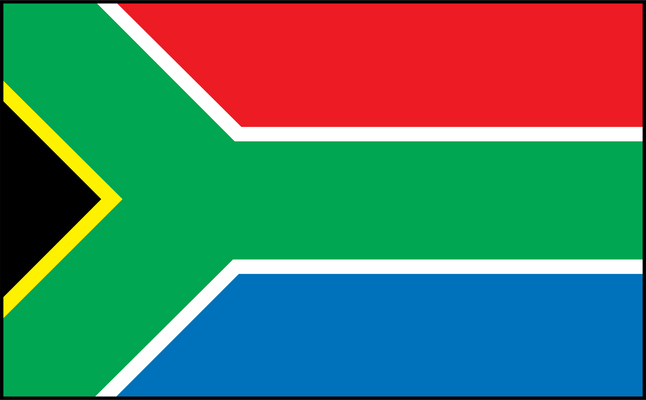 Room to Read selected South Africa as their first African country whom they offer South Africa Scholarships. This decision was the culmination of nearly a year of research and strategizing about potential expansion onto the second continent. In addition to the rural discrepancy there are other important educational issues facing South Africa, including educational opportunities for girls – although there is parity in enrollment rates between both genders, there is a growing need to keep girls in school. The National Department of Social Development is offering scholarships to the needy and deserving students of South Africa. Applications for South Africa Scholarships are invited from students who are pursuing or interested in enrolling for a Social Work qualification. The Community College Initiative Program enables individuals from Brazil, Cuba, Egypt, Ghana, Indonesia, Pakistan, South Africa, Turkey, and selected countries in Central America to spend one year studying at community colleges in the United States and earn a vocational certificate. This program also provides for South Africa Scholarships. Old Mutual is the largest and most well-established financial services provider in Southern Africa. Their prominent position in the industry is reflected in their strong operating performance across all our businesses, with good balance sheet position, strong financial flexibility with demonstrated access to international capital markets and diversity of business. Old Mutual Education Trust Scholarship. Harry Frederick Oppenheimer was a noted South African businessman, philanthropist, and opponent of apartheid. In 1993 he endowed the Oppenheimer Fund at Oxford University. The Fund promotes links between the University of Oxford and South African Universities. It does this by supporting academic exchanges between Oxford and South Africa, and assisting students ordinarily resident in South Africa wishing to pursue graduate study at Oxford. The Oppenheimer Fund Scholarships are open to applicants who are ordinarily resident in South Africa applying to start any new degree bearing course. Applicants should be intending to return to South Africa following their studies. The Government of India, through the Indian Council for Cultural Relations (ICCR), New Delhi, is offering the following scholarships for meritorious South African nationals for studies in India. Detailed information regarding the scholarships and the application forms can be collected from the: Indian Cultural Centre, Consulate General of India, Johannesburg. I’m called Hadas Weldu I’m graduate at2013/14 on mekelle university by Applied geology know i need your support to learn MSC. I earn my first degree in economics and I am in need of doing masters but I am in short of money to proceed if you give me a chance I will be thankful. I’m Belayneh Erbeto from Ethiopia and I want to your help to get masters degree chance. I’m BSC graduate in Statistics. I am sphesihle wandile sthebe im begging for a scholarship of a social work here on south africa because on our country we face lot of problems e.g porverty etc on our society so im looking for a chance of prooving my wishes on the south africa as a whole and especially on my society.